From The High Heeled Hostess this simple decor is fun and easy. 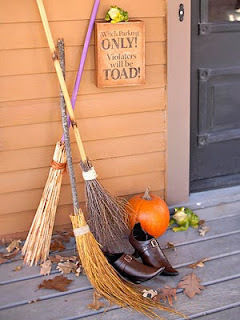 I love the little toad by the door. This is beyond cute from Junk Garden Girl. I absolutely adore this. If only I had the porch for it. 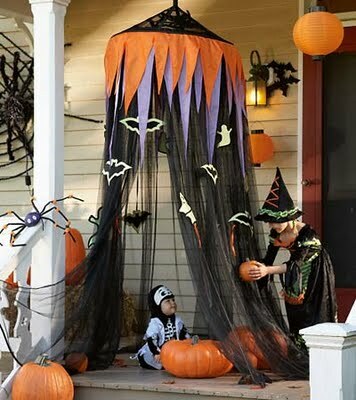 Check out the site for other great Halloweeny porch ideas. 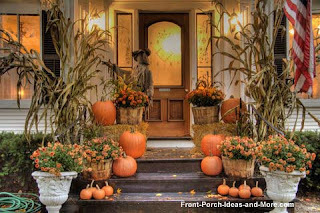 Ahh, the country, that's what I think of when I see this front entry from Inspire by Design . 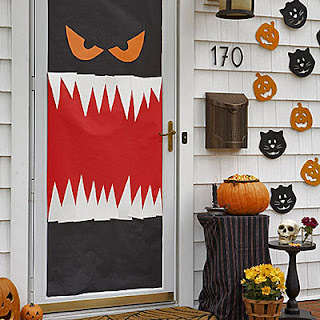 You know I have to throw a little scary Halloween in here too. Saw this on Pinterest ( no web site) and HAD to pin it. 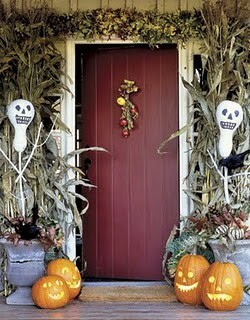 The corn stalks, pumpkins LOVE and add the cherry on top, the skeleton. The lights really add to the look too. I love that pumpkin on the bottom. Have you decorated your front porch, entry? Show up my neighbors. Send me photo's, I'd love to see. Related: Woo Hoo! Wednesday. 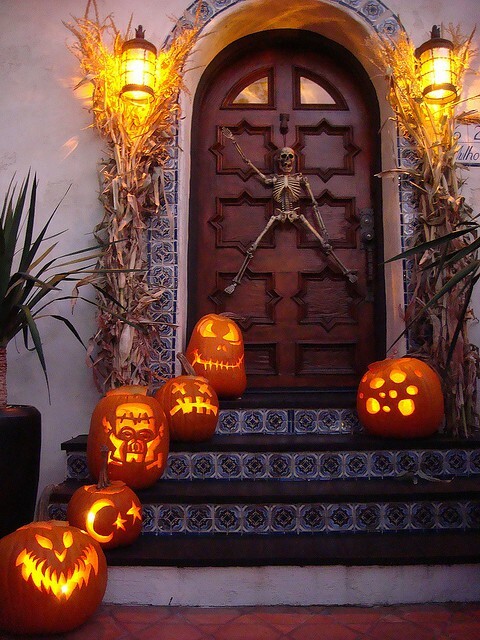 Halloween Entertaining. I've noticed a few decorated yards and entries in our neighborhood over the last week and it makes my soul smile! If I get going on my own porch pre-party, I'll submit a pic! When I came home tonight I saw my neighbor's, well, the ones on the next street over, have been decorating. YEAH! It makes me smile too. And I always love seeing pics of other peoples parties and holida fun.